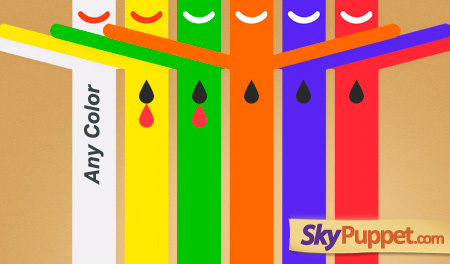 Lowest priced Sky Puppet/Sky Dancer Customization in the market. Digitally printed. No more worries on stitched letters coming apart.